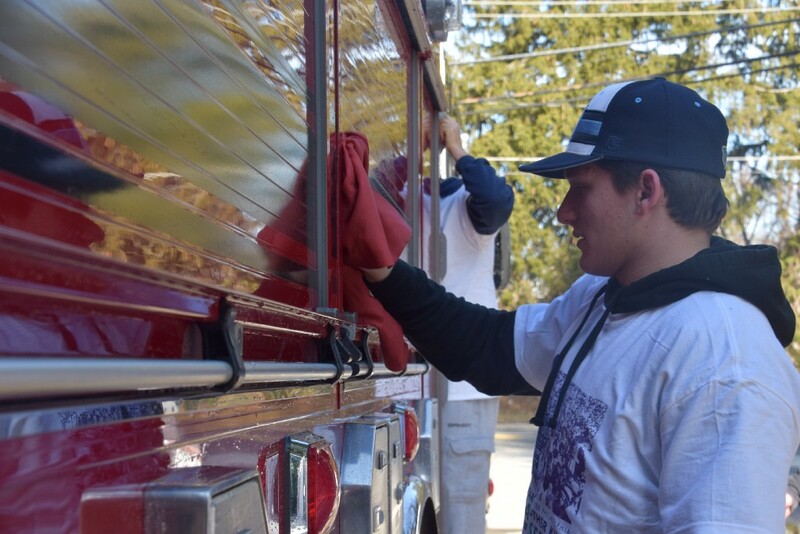 This is the seventh year for the day of service, where 31 service projects took place throughout Gloucester Township. Members of the Highland Regional High School Baseball team with councilman Orlando Mercado, far left, Mayor Dave Mayer, third from far right and second from right, Lee Collins. 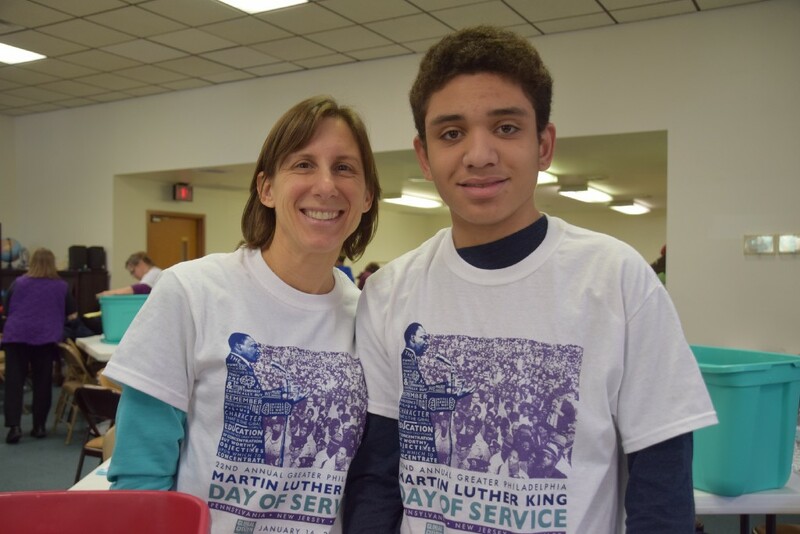 Hundreds of Gloucester Township residents took part the township’s annual Dr. Martin Luther King Jr. Day of Service. The day started at C.W. Lewis Middle School with breakfast and presentations before everyone split up into groups and set off to service projects at various locations. “What’s significant about today is not only are we celebrating the legacy of Dr. King, but we’re also coming together as one community to make a difference; not only in this community, but in the lives of others from other communities,” said Mayor Dave Mayer. Gloucester Township started the day of service six years ago with 10 service projects; this year there were 31. Mayor Dave Mayer said it’s grown each year because the community recognizes the importance of giving back. 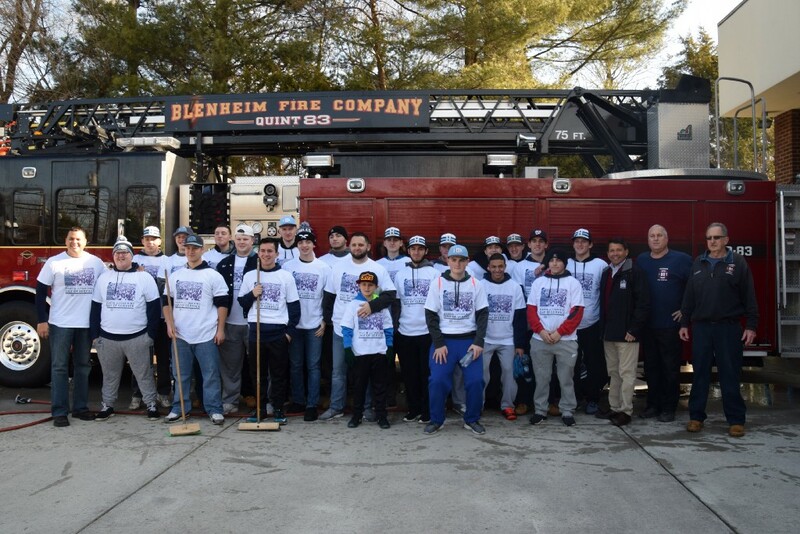 Some of those young people volunteering their time were the Highland Regional High School boys baseball team, who washed the fire trucks and emergency personnel vehicles at Blenheim Fire Company. It’s their third year volunteering at the fire company and head coach D.J. Gore said it’s something his team looks forward to every year. Adrian Teague and her son, Davian, volunteer at Chews United Methodist Church. “It’s awesome,” he said. “Every time they are asked to do something they are always there for you. It really starts our season off getting ready and they like giving back. “On Martin Luther King Day it’s good to do this and help the community because every shows support for us during the season,” said senior Anthony Masselli. Volunteers filled three rooms at Chews United Methodist Church in Glendora. In one room, they separated donated clothes into bins for infants to adults, which were going to be distributed to anyone in need in Camden or Philadelphia. 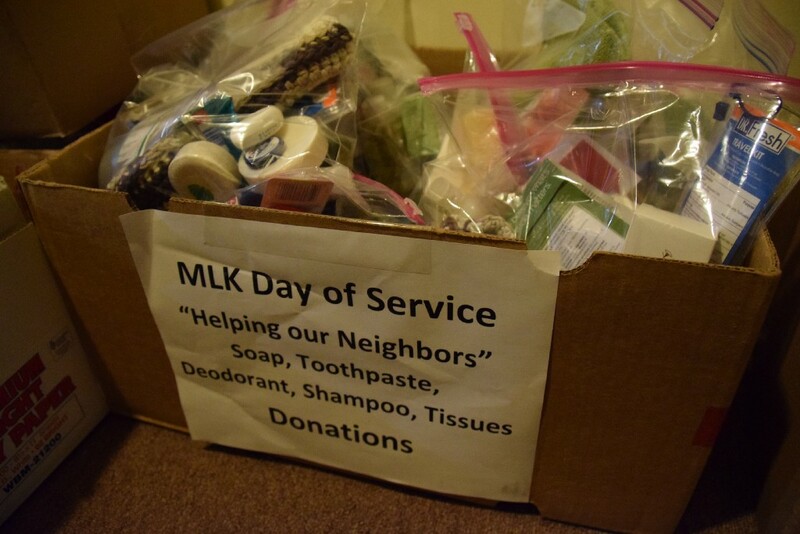 In another room, toiletries were separated into boxes, and in the kitchen, sandwiches and snacks were made, which also was going to be distributed to the less fortunate. 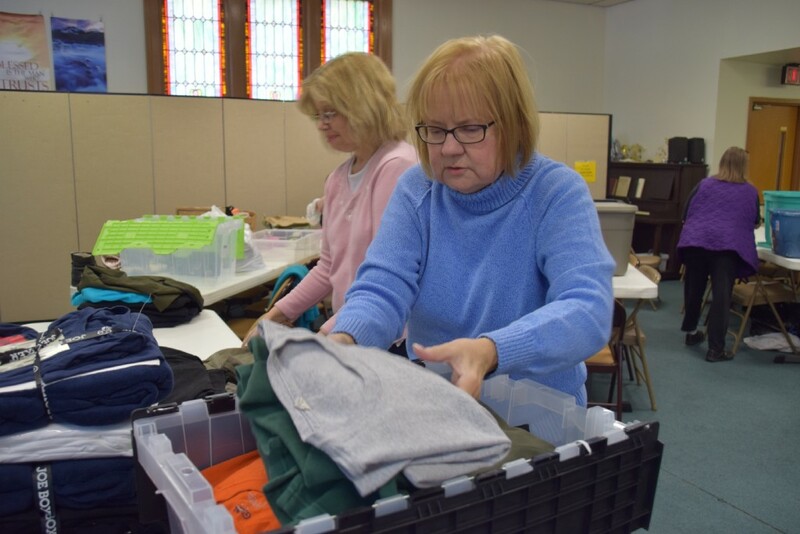 Barbara Boulden sorts clothes at Chews United Methodist Church. Adrian Teague took the day off from work so her and her son, Davian, could volunteer together. Davian, a freshmen at Timber Creek High School, said he was there to help the community and to write about his experience volunteering for a job he wants in the summer. A box of toiletries ready to be distributed to the less fortunate. Three generations of one family who are also members at the church volunteered together — Danielle Williams, her mom, Rhoda Wus, and three daughters, Olivia, Leila and Alexa. She wanted the day to be a learning experience for her children. “I wanted to give my kids an opportunity to learn about volunteering for others and those that are less fortunate,” Williams said.